Desjeux Créations is specialised in professional and continuous DTP training (Desktop Publishing). 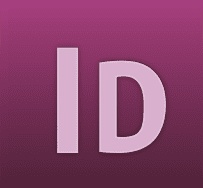 We offer a practical and personalised adult training programme for getting to grips with and mastering DTP software: InDesign, Photoshop and Illustrator (Adobe suite). Our training courses on DTP and the graphic design and advertising process, are designed on a bespoke basis and adapted to the level of your skills. Over 15 years of experience in graphic design and creation, printing and production, have contributed to our knowledge and expertise, and now form the basis of our training courses. Our training courses are mostly delivered in the Maine-et-Loire region (49 - Angers and surrounding area), but we are mobile all over France if required. Feel free to contact us for any specific requests. DTP (desktop publishing) appeared in the mid-80s and developed further throughout the 90s. A complete DTP training course should include training on how to use page layout software such as InDesign, pixel image processing software such as Photoshop and vector design software such as Illustrator. Depending on the requirements of your job and/or your advertising objectives, we'll decide together the level of proficiency you need to acquire for each of these DTP programs. Our DTP courses are adapted to your specific needs and level of proficiency. 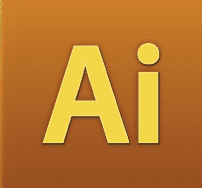 Training objective : Acquire the essential knowledge of tools of graphic design and DPT. Develop knowledge in terms of graphic design. Learn the basics of the layout. 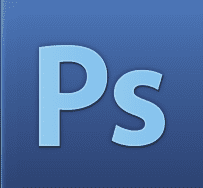 Master the software features of the suite Adobe Photoshop / Illustrator / InDesign. Anyone wanting learn the basics of graphic design. At the end of our training course you will be able to produce your own marketing tools: adverts, publications, interactive tools and websites, logo creation and graphic design, greetings cards and calendars, vehicle wrapping, signage and exhibition stands, using the new QR code feature (2D print to web barcode).